Do you often find yourself in a situation where you have no idea how to dress in a certain occasion? That’s no big deal as we’ll teach you how to mix and match for the right style in the right moment. Gone are the days of simple dress codes, but that doesn’t mean it’s going to be very difficult either. Dress codes have taken a whole new expression, unscrambling them is vital to dress just right at any event. 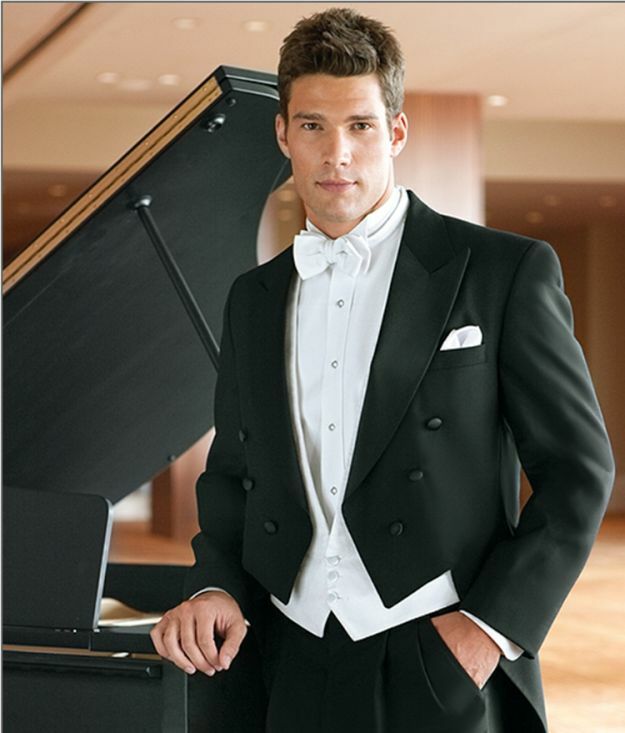 Don’t confuse yourself over white tie, business, casual and everything in between. Allow yourself to understand when things are right for the occasion and bring out the right style at the right time. White, thin, hand-tied bow tie. Whtie single or double breasted waistcoat. Low cut to display dress shirt. Cufflinks must match shirt studs. Black dress trousers, single or double silk seam on outside of each leg. No belt and should be tailored to fit. Black patent leather dress shoe, or formal pumps. Black tuxedo jacket, silk or satin faced lapels. Single breasted, no vents, covered buttons. Black and decorative studs are acceptable. White dress shirt, pleated front, turn down collar, double cuff. Cummerband is optional, but should never be worn with a waistcoat. Tapered black dress trousers with single row of braid on the outer leg. Black patent leather Oxford shoes. Conservative tie colour and design. Windsor or Half-Windsor knot. Matching, two-piece, dark coloured, plain or pinstripe suit. Cufflinks are optional. Keep simple and subtle. Plain leather belt to match suit. Click here to get a suit like this! Polished black leather derby or oxford shoes. No slip ons. Plain dark socks, same colour as suit. No patterns logos or pictures. Button down shirt with collar. Stripes or checkered design is acceptable. Brogues, loafers, monk shoes. Chelsea boots are ok at informal events. Optional – or you could wear invisible socks. Polo shirt, long or shirt sleeved patterned shirt. Casual trouser. Cords, dark fitted jeans or chinos. Deck shoes, desert boots or smart trainers. These dress codes should be helpful and make it easier for you to pick the right stuff to wear. It’s intended to remove any doubts in choosing the appropriate clothing for a specific occasion. After all, this merely serves as a guide and what’s most important is for you to wear that confidence. Check out more style-related topics here.